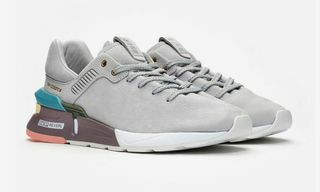 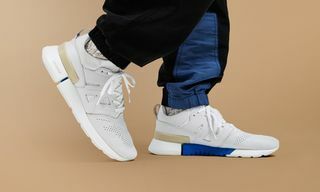 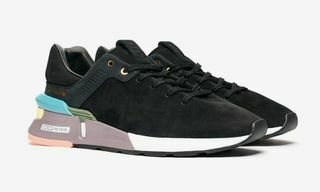 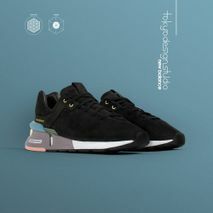 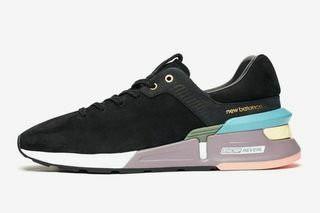 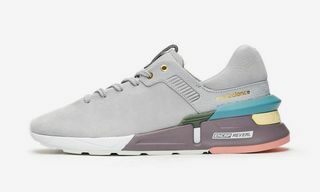 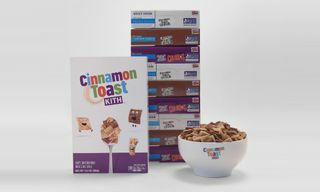 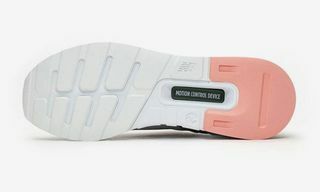 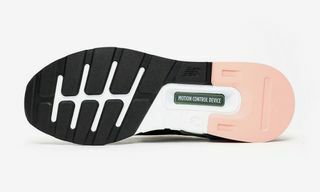 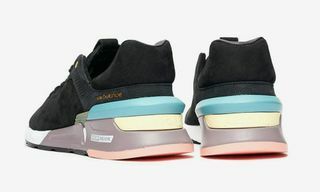 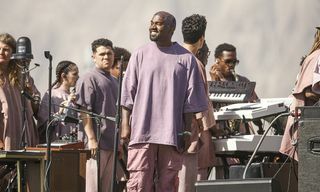 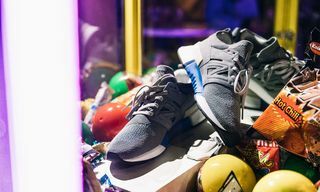 Key Features: The juxtaposition of the sleek, minimalist upper with the new color-blocked, chunky sole gives this sneaker two defining features and makes the wearer feel they are rocking a hybrid sneaker of sorts. 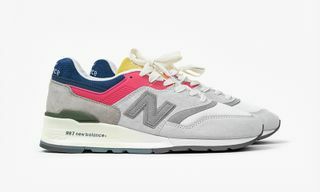 Editor’s Notes: A mainstay in New Balance’s lineup, the 997 is one of the brand’s most recognizable silhouettes. 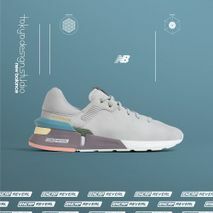 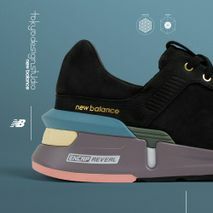 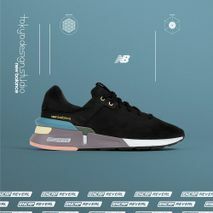 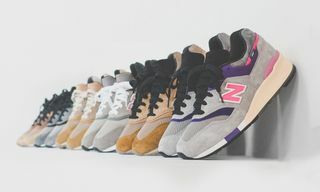 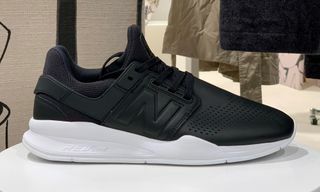 Nevertheless, it seems the company has decided it was time to give the 997 a 2019 update, and so here is the New Balance MS997, available in two colorways. 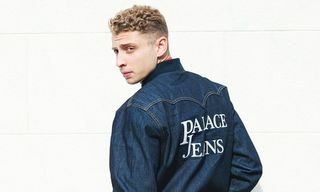 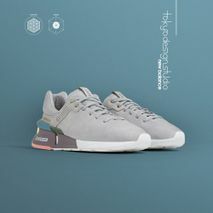 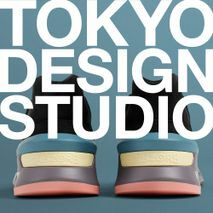 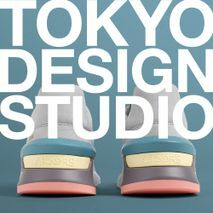 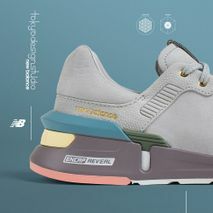 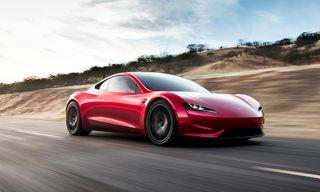 It has been officially announced that the MS997 is a Tokyo Design Studio creation.. Tokyo Design Studio sees the brand’s American and Japanese design teams come together to create innovative products that utlize skillful craftsmanship unique to Japan. 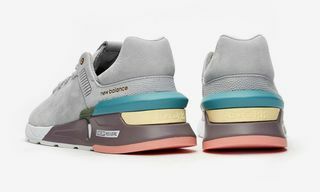 The new shoe stays true to its chunky soled soul, but is given a modern twist with color-blocked layers of green, blue, yellow, purple, and pink in addition to the white sole. 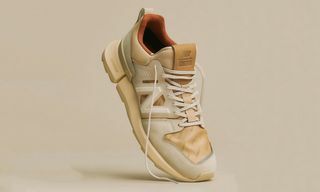 On the other hand, the new MS997 upper is a complete departure from the original, with its minimal black or light grey leather and suede upper.